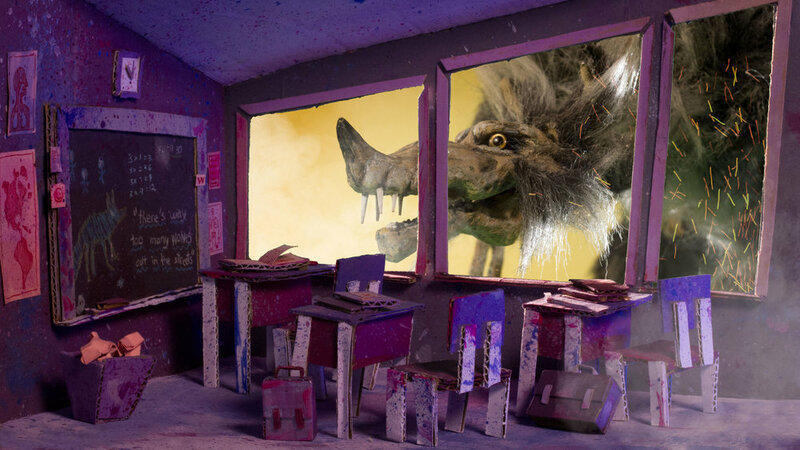 We created this stop-motion video for Kyle Cook's lovely song: "Wolves". It was a fun challenge to bring to life our interpretation of the lyrics. Still from the music video Wolves by Kyle Cook, 2018. The boy riding a giant wolf. An illustration of Wolves by Diego & Sebastian Ramirez. Illustration of Wolves by Diego & Sebastian Ramirez.